Meanwhile, in large bowl, combine Seasoning mix from packet, mayonnaise, sour cream, blue cheese and lemon juice. Stir in remaining ingredients except spinach. Refrigerate at least 1 hour. 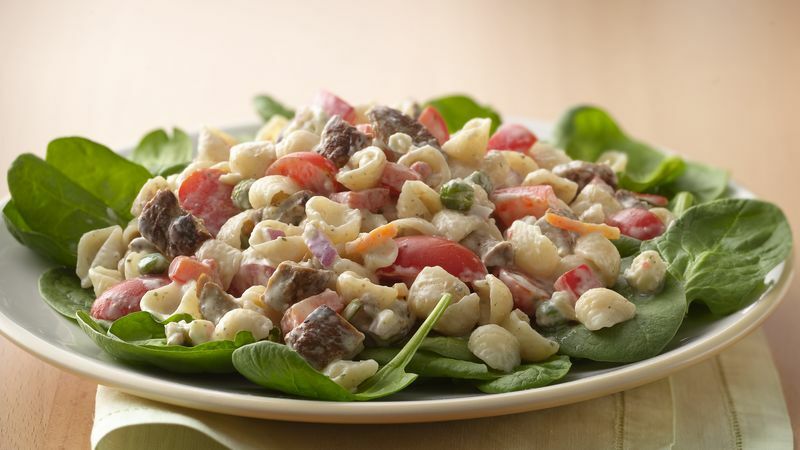 Just before serving, place 2 cups of the spinach on each of 4 plates; divide pasta salad evenly over spinach.